Thomas’ is lovely and colourful and I was really impressed with Jasmine doing the stripes. I helped her pick the colours out of the tub but she designed and made it all by herself. Again, this is entirely her own design, made with no help at all. Well, apart from help picking out yellow beads towards the end when she got tired of looking for them! I’m amazed how she has suddenly become able to do designs like this by herself! She has come so far in such a short space of time. 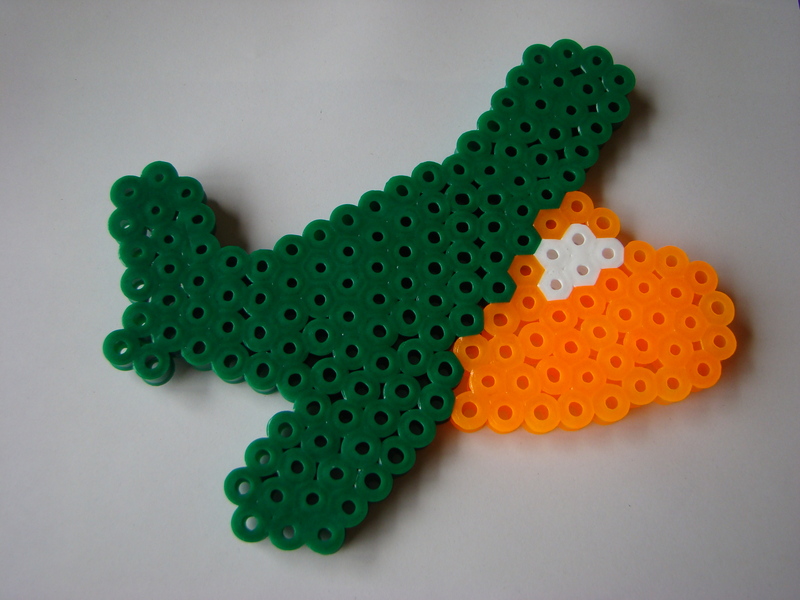 and Ben made a Maxi Bead Aeroplane. He chose the colours he wanted to use and did almost all of it by himself (he had some help placing the window). 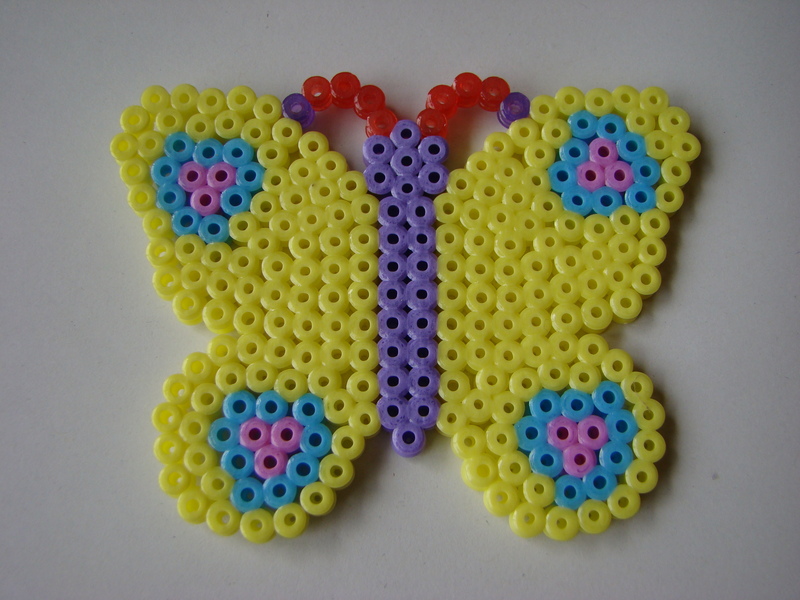 He has also done really well recently with the Hama Beads. A few months ago he would just fill part of a board and then take the beads off again, repeatedly! Now he will happily sit and complete one, if not two designs at a time with the Maxi Beads. I asked the kids if they would like to leave their designs out for the Easter Bunny tonight and see if he left anything for them in return. They decided not to do that though as they were worried the Bunny might take their designs and they want to hang them up! 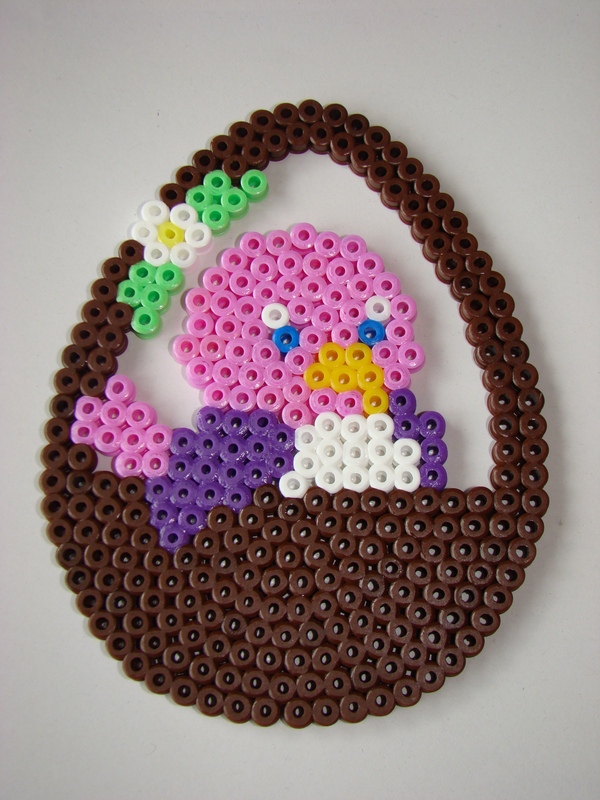 We love Easter and the Easter Bunny, but it seems the kids love their Hama Beads more! !